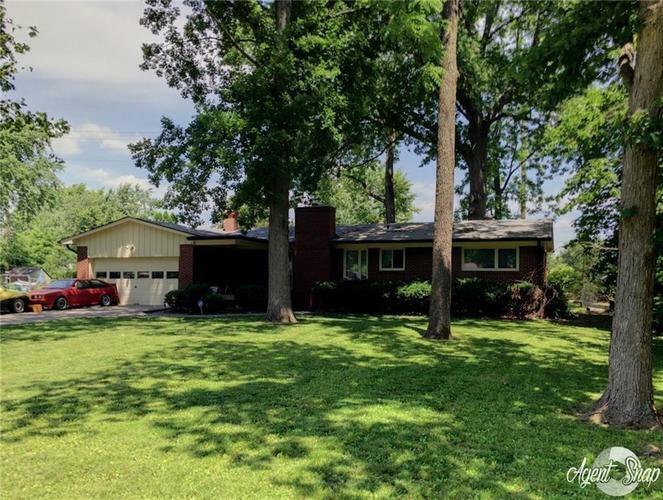 All brick ranch on large, private lot close to Trader's Point. Hardwoods, tile and laminate throughout home. Updated kitchen with pull out shelves and under-cabinet lighting. Over-sized heated garage. Private backyard with mature trees and multi-tiered deck. Beautiful gas starting, wood burning fireplace. Brand new roof and newer furnace and appliances. Directions:South on georgetown Road from 86th Street, to 81st Place. Left or East on 81st Place to home on left.